This morning I preached on Acts 2:42-47 and community. Great text that preaches itself. 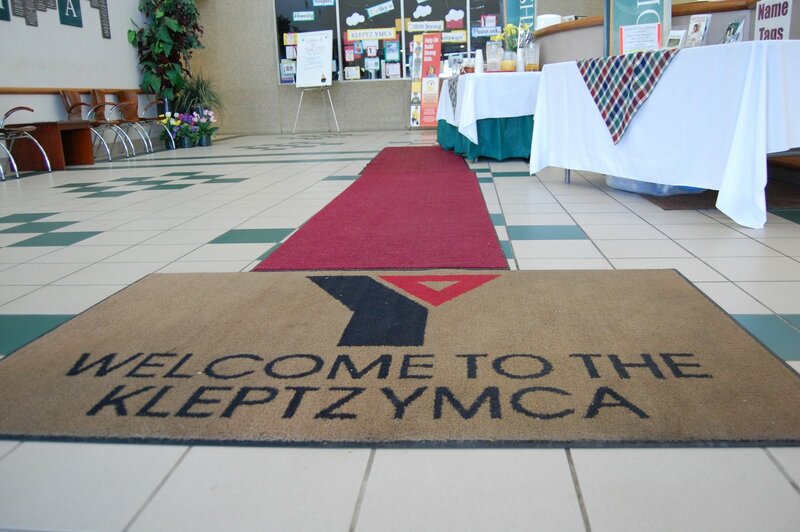 I wanted to help our YMCA campus expand their vision of what is possible there. They’ve got a great set up, there’s excitement and momentum, great kids stuff and now teen stuff is starting up next Sunday. Very exciting to see the potential of the Holy Spirit. If we’re honest, there’s something inside of us that balks at these quaint verses (Acts 2:42-47). How can people possibly behave that way? Yet another part of us desperately wants and needs them to be true. The world is looking for hope. On Tuesday, we’re getting one kind of hope. A healthy leadership change. We are thankful for that. But the world craves a deeper change. For someone to raise their hand and say, “I choose hope.” Everything else tells us to choose cynicism. But we choose hope. We choose community. We sometimes create community just to have it. Then we’re surprised when God’s not growing our group or ministry. The book of Acts anchors our deepest hopes for community, generosity, and meaning as a specific result of Jesus Christ’s life, death and resurrection. That is the purpose for gathering in community. If more people are praying and open to the Spirit, relationships within our community can shift. Then the church feels lighter, more joyful, more real. People want to invite their friends. So friends and new Christians add their own excitement and growth to the mix. Things change again. The changes create a bit of dissonance in the church, so members move into more prayer and the cycle begins again. I had five volunteers come up during the sermon. Four of them formed a circle, linking arms, facing each other. This is most of us in the church. We support, care, pray and laugh together. We love our community and small groups. Life is good. But we’re only facing each other. Someone new comes along and finds it almost impossible to break into those groups. It sends the message they aren’t welcome and space can’t be made for them. The world is looking for hope and our churches are chilling inside with each other. What does it take for more churches to do a 180 and face the outside? They’re still linking arms and supporting each other. But open and welcoming. Putting others first. My dad said something today on our weekly phone call that sums up preaching for me. Our job as preachers is to give people words to describe their reality. We want our people to learn how to talk about their faith. Then the conversation continues outside of the sanctuary. And that changes the world.